Let’s get the boring, logistical, I have letters next to my name (who cares) stuff out of the way first. 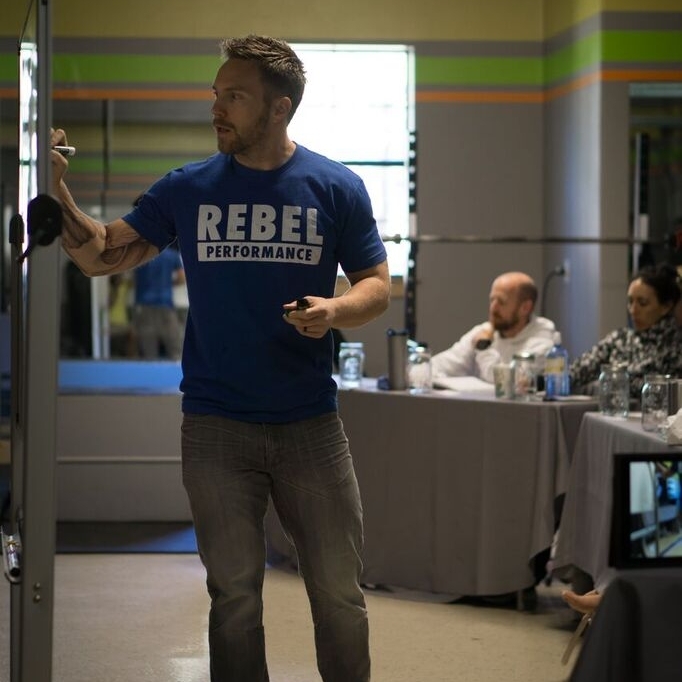 My name is James Cerbie and I'm the founder of Rebel Performance. I’m certified by the National Strength and Conditioning Association and Precision Nutrition, and I'm currently in school at the University of Utah (part of the UVRL team) studying to get my PhD in Nutrition and Integrative Physiology. I’m a meathead, scientist, writer, speaker, coach, nerd, and southerner at heart. I love superheroes, coffee, baseball, cookies, red wine, football, deadlifts, the occasional beer, country music, peanut butter, being outside and sharing great food with awesome people. I’m terrible at social media, still don’t really understand twitter, and would rather be working out than taking pictures of myself and posting about it. My family and friends are the most important things to me in the world, and I consider myself lucky to be able to live my passion everyday. I have a PhD in Exercise Physiology. I have worked as a professor of Exercise Science at Brooklyn College and Springfield College. I have coached the athletes from Springfield College Team Ironsports. I have competed in Strongman and qualified and competed in two world championships at the Arnold Classic. I have competed in submission wrestling at the highest level in the North American Grappling Association. I have fought professionally in Mixed Martial Arts. I have trained for a long time. I have made weight in weight class sports for a long time. I have studied the workings of the body and lived the science to the best of my ability for a long time. I have been lurking in the shadows, learning and training, not putting my information out for public consumption for a long time. If you are an elite strength coach, you probably know who I am. If you are an elite strongman athlete, you probably know who I am. If you are a regular Joe who is a weekend warrior, or a gym bro, you probably do not know who I am. This is how I meant to keep things. Now I am changing and permitting the 99% to have a glimpse at what the 1% does. My name is Ben House. I live in the Jungle, and my business is building monsters. I was a chubby Midwestern 8th grader who fell hard for the barbell and still falls hard for it Every. Single. Day. The iron taught me how to struggle, it taught me about the inevitability of failure and the rage inside of all of us that keeps running full speed into that wall. 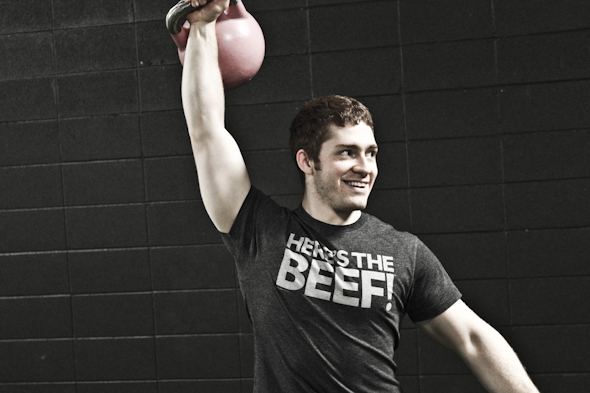 I am a meathead who got into medical school without an undergraduate degree and made his way into a PhD program with a less than 0.1% acceptance rate. To be honest, I am far more stubborn than smart. Graduate school taught me how to learn, the most valuable lesson I have every received. Yet, every morning a part of me wanted to quit to coach men and women like you. A decade later, I get to marry both worlds, science and coaching. I get to ask my own questions and attempt to run through every wall I can find. In my time in the industry, I have worked with thousands of humans, high schoolers, collegiate athletes, professionals, mothers, fathers, coaches, and CEOs. My name is Zach Hadge and I am a lightweight and heavyweight Professional Strongman. I graduated from Springfield College, am CSCS certified, and completed internships at both Lightning Fitness and Edge Performance Systems. I am a Strongman at heart. It is my passion, and it is something for me to get better at every single day. It is a reflection of my consistency and willingness to push through tough and uncomfortable situations. If you do not have a love for what you are doing, you will never get better. You must have passion for what you are doing, or else when times get tough it will make it that much easier to quit and make an excuse. By taking a different approach to strength and conditioning, we get different results. It is just as much of a mental game as it is a physical game. By paying close attention to detail and focusing on the little things, the big things will fall into place. Time to forget everything you ever thought you knew, and accept that there is something else out there. A humbling, tedious process for sure, but who the hell said this would be easy. I’ll show you the doors, it is up to you to walk through them. I’ll be there to tell you when its time to grease the hinges, pick the lock, find a new door, or just bust the door down. The only other thing I need is your effort. Here we go. on human performance. By the time Andrew had graduated from Springfield College with his B.S in Applied Exercise Science he had already coached several strongman athletes to elite levels of success. Gaining motivation every year it is his personal goal to be amongst the greatest strength coaches of all time. He has competed from 175-HW and continues to push himself to greater performances residing most competitively in the 90kg class. I received my Bachelor’s of Science in Kinesiology and a Personal Training Certificate from Indiana University in 2012. I’m a Certified Strength and Conditioning Specialist through the National Strength and Conditioning Association and recently completed my Master’s of Science in Anatomy & Cell Biology. The human body astonishes me, making it easy to enjoy perfecting my craft, but the real driving force behind my career has, without a doubt, been my extreme luck. I got my start as the model for a DVD my bosses, Mike Robertson and Bill Hartman, did with Eric Cressey called Assess & Correct. I’ve been able to foster relationships with some of the greatest up-and-coming trainers during their tenure as interns here in Indy, I’ve never been short of information to digest. If you want to know more about what I find interesting, head on over to my personal website.